A NEW vehicle for Australian investors, Long-Term Asset Partners Pty Ltd (LTAP), has bounded into view with a bid to buy out eastern Australia’s major bulk handler, GrainCorp, for $10.42 per share. This non-binding indicative offer equates to a value of $2.4 billion and has been positive for GrainCorp shares, which were trading at more than $9.20 this morning, after Friday’s close below $7.50. LTAP directors are infrastructure specialist and past president of the Business Council of Australia, Tony Shepherd AO, former managing director and CEO of Aurizon, Lance Hockridge, transport specialist and SeaLink Travel Group director, Andrea Staines, and Chris Craddock. LTAP has said it intends to make long-term investments, and did not intend to sell any GrainCorp assets if its takeover bid was successful. The GrainCorp Board will engage with LTAP in the context of its portfolio review which started earlier this year, and it will assess the proposal’s merits, including the value offered compared with other value creation alternatives and strategies available to GrainCorp. This evaluation is ongoing and the proposal is not yet sufficiently certain or in a form which would allow GrainCorp’s directors to make a recommendation to shareholders. GrainCorp said LTAP’s proposal was subject to a number of conditions, and involved a complex financing structure, with significant leverage comprising $3.2b in acquisition facilities from Goldman Sachs, and $400 million from Westbourne Capital. The LTAP proposal and the acquisition financing facilities are conditional on due diligence which will be provided once appropriate confidentiality and standstill arrangements have been put in place, including customary protections for GrainCorp. GrainCorp’s board has said it had not formed a view on whether the offer price from LTAP was at a level it was prepared to recommend to shareholders in the context of a change of control. The board has asked for more information on the identity of the equity investors underpinning the LTAP proposal. 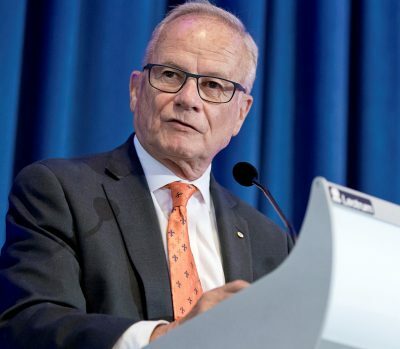 It has also asked for details about the longer-term financing plan and intentions for the business, to enable a detailed assessment of the impacts of the proposal on GrainCorp stakeholders including its shareholders, grower customers, trading partners, and staff. The board considers that because the Portfolio Review is well progressed and the LTAP Proposal is not sufficiently certain, it would not be in shareholders’ interests for GrainCorp to suspend or terminate other initiatives under assessment. GrainCorp’s board has recommended its shareholders take no action in respect of the LTAP proposal, and await further information from the board which will be provided as part of the ongoing portfolio review. GrainCorp has appointed Macquarie Capital (Australia) Limited as financial adviser and Gilbert + Tobin as legal adviser. As was outlined during the FY2018 results presentation on 15 November, one of GrainCorp Limited’s strategic priorities has been an evaluation of capital management and portfolio optimisation opportunities. This process has been under way for much of this year and involves an assessment of GrainCorp’s business portfolio to develop and implement strategies to unlock and create improved value for shareholders. Initiatives to enhance grain infrastructure and capabilities in GrainCorp’s domestic and international portfolio, by progressing initiatives to simplify the eastern Australian grains operating structure to better serve customers and reduce costs. GrainCorp said the review was looking at a wide range of potential value-creation strategies including operating strategies, and will take some time to complete. GrainCorp intends to provide shareholders with an update on the progress of the portfolio review at or before the company’s Annual General Meeting in February 2019. The most recent takeover bid for GrainCorp came from US grain-handling giant Archer Daniels Midland, and was rejected in 2013 by the Federal Government on the grounds that it would not be in the public’s interest. GrainCorp’s most recent profit announcement showed a sharp downturn caused largely by the reduced intake of grain as a function of eastern Australia’s drought. Let us stay in Australian hands. Us Aussies will invest. Just tell us when and where and it’s done. Anything to benefit the future of Australia.